Envirosafe Ireland provide contained micronizers mill/air jet mill glove box isolators which are innovatively designed by expert process engineers for size reduction of active ingredients. We have the understanding and expertise of every type of micronizer mill and can provide total mill adaptation within our glovebox isolator solutions. 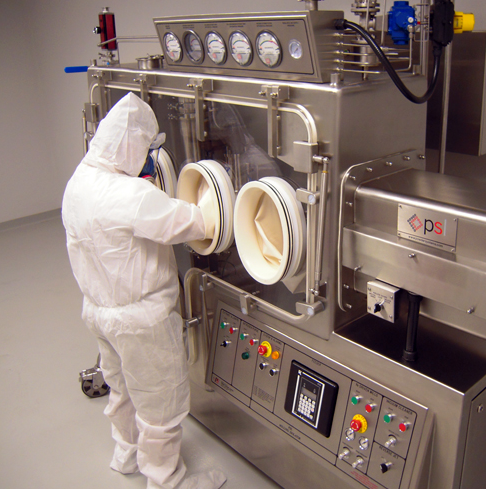 Contained micronizer mill/air jet mill glove box isolators feature total containment gloveboxes/isolators whilst milling compounds along with a controlled safe environment. All equipment can be purged with nitrogen to prevent dust explosions and can achieve less than 1% Oxygen.